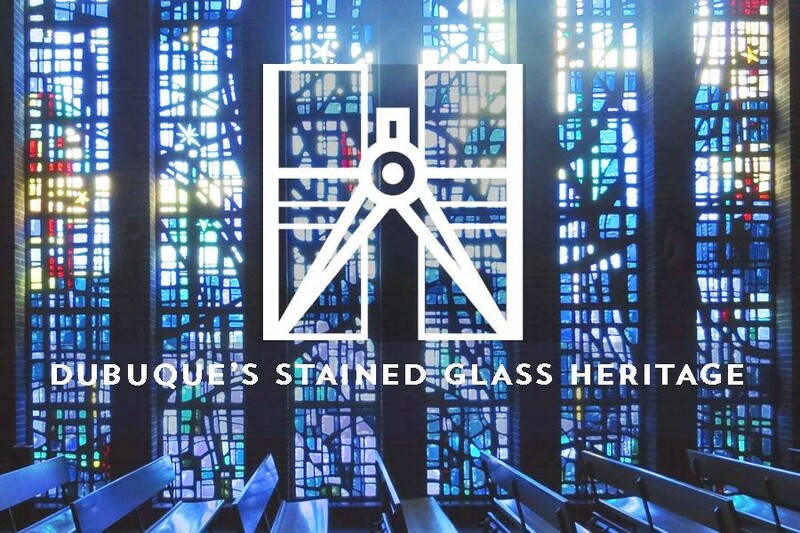 On Saturday, October 24th, Heritage Works led it’s first architectural tour, focused on the stained glass windows of Dubuque’s churches. The tour was led by national stained glass expert Neal Vogel, stained glass artist Mark Radina, and Heritage Works’ own Duane Hagerty. 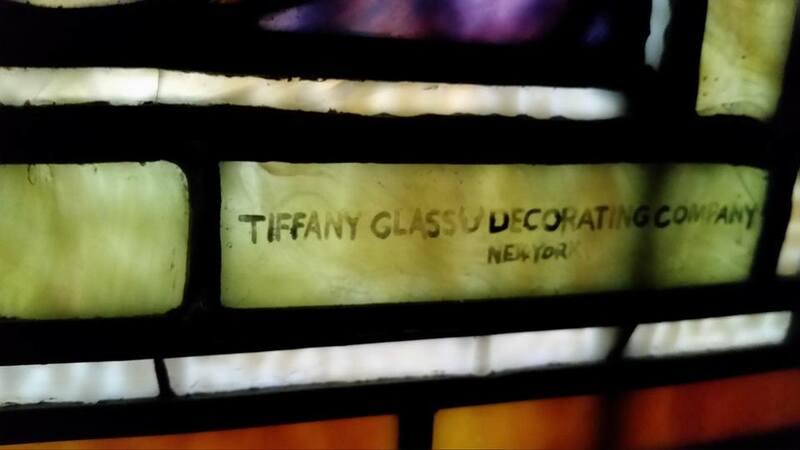 The tour began at Steeple Square (previously St. Mary’s Catholic Church) for a discussion of its windows and on the history of stained glass as an art form. The stained glass windows at Steeple Square are Munich Style glass designed by Francis Xavier Zettler. Each of the 12 main windows in the former church depicts a scene from the life of the Virgin Mary. Two of the windows underwent full restoration during the summer of 2015. The second stop on the tour was Sacred Heart Catholic Church. 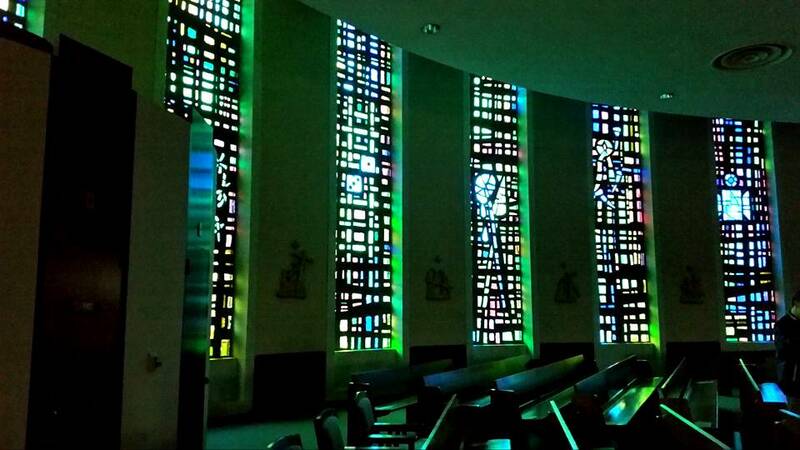 These windows, designed by Conrad Pickel, are often referred to as the “jewels” of Sacred Heart. Each window contains three distinct scenes: one from the Old Testament, one from the New Testament, and one relating to local or U.S. history. 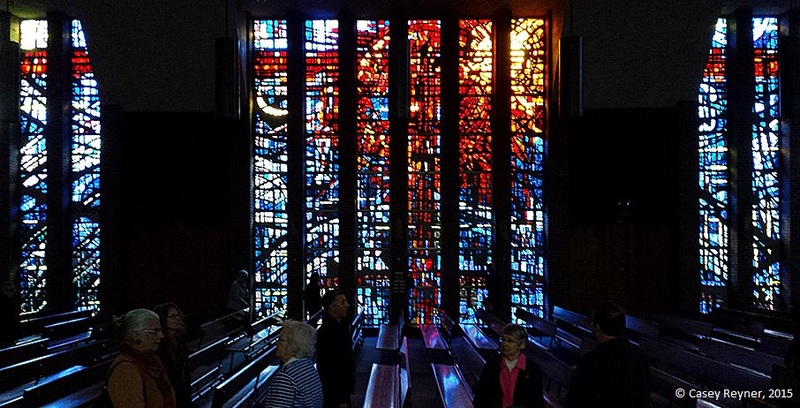 One of the most well-known collections of stained glass in Dubuque is at St. Luke’s United Methodist Church. These windows were designed by Louis Comfort Tiffany and showcase his signature style, including rippled glass, drapery glass, etched flashed glass, and textured, rolled glass. 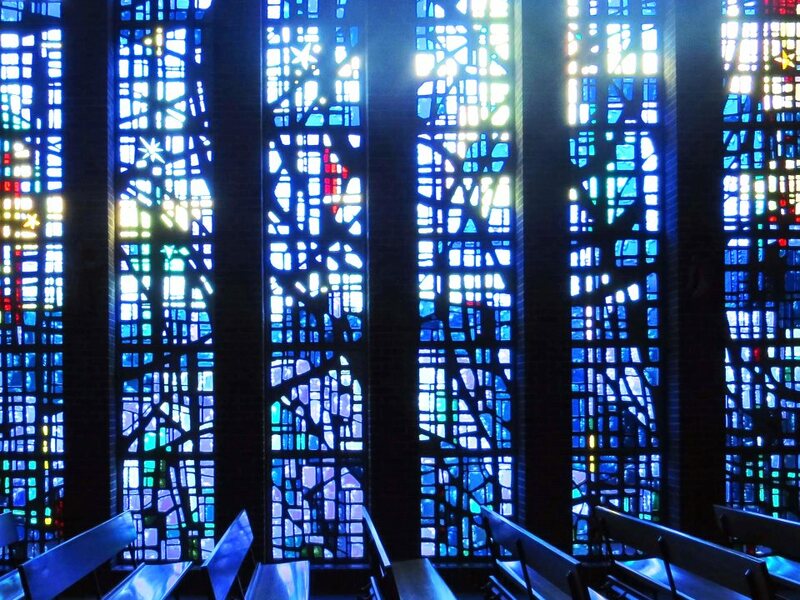 Stained glass followed the trend of many art forms in the mid-20th century, moving from the figural toward the abstract. The windows by Gabriel Loire at The Church of the Nativity are one such example. Loire was an expert of the Dalle de Verre or “slab glass” style. The 18 south-facing panels depict the night sky over Bethlehem, with the Christmas star clearly defined near the center. The north-facing panels are referred to as “the window of redemption” and portray the Last Supper, the Crucifixion, and the Resurrection. 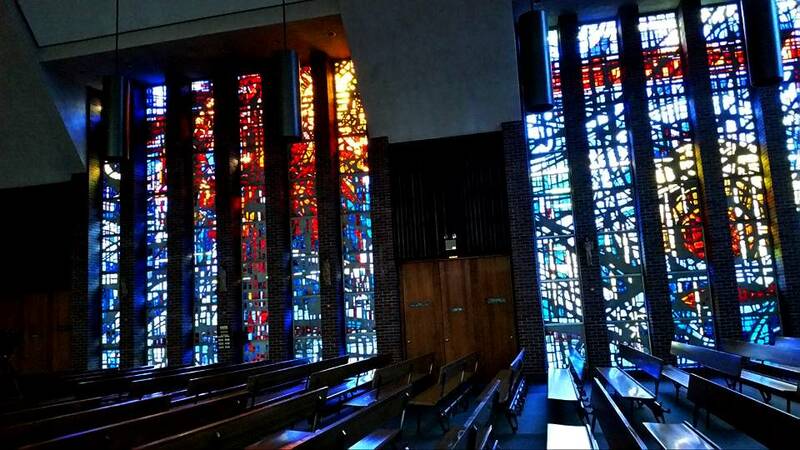 The tour’s final stop was St. Joseph the Worker and its collection of windows designed by Robert Leader. Leader’s work contains many images and messages of peace, influenced by his experiences in the Second World War.